Antique Edwardian 18ct Diamond Five Stone Ring. 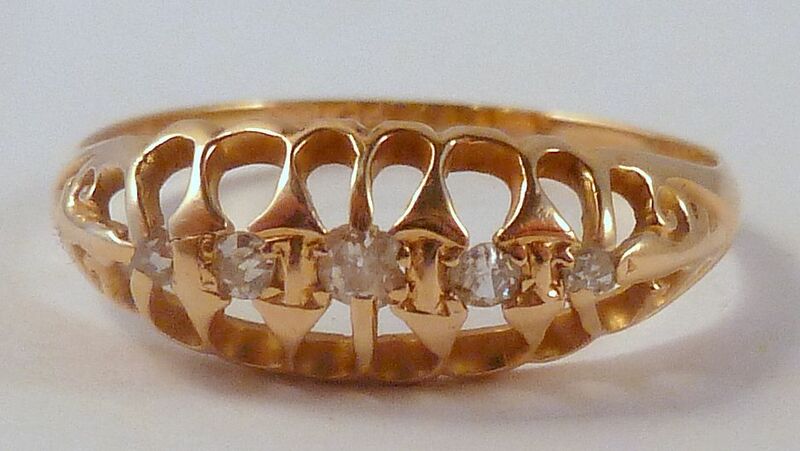 An antique Edwardian 18ct gold five stone diamond ring. The five old mine-cut diamonds are line set with open work sides in a classic antique style with a plain band. 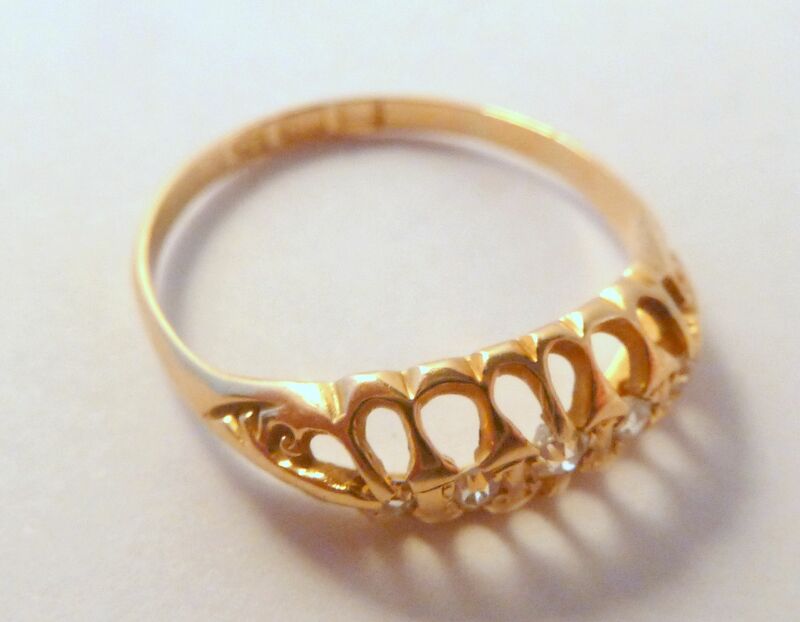 The ring is fully hallmarked for 18ct gold, assayed at Chester and dated 1908. The ring is a UK Size O 1/2, US size 7 1/4. Ring Size UK O 1/2 , US 7 1/4. Antique 18ct gold and five old-cut diamonds. Hallmarked for Chester, 18ct gold, 1908 to the inner band of the ring. Good antique condition, diamonds well matched and bright, estimated total diamond weight is 0.10ct. 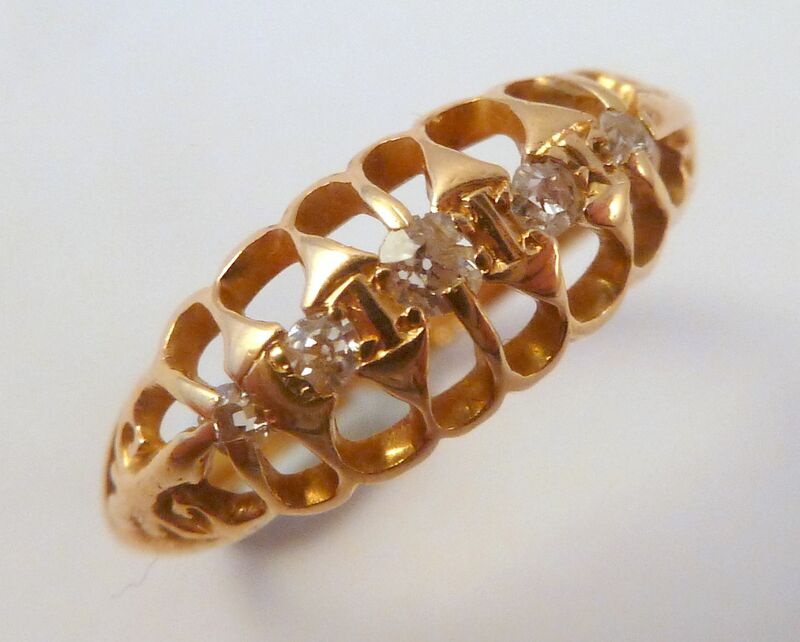 A stunning, antique, traditional classic style open work 18ct gold and diamond five stone ring. Antique Art Nouveau Style Turquoise Glass Bar Brooch. 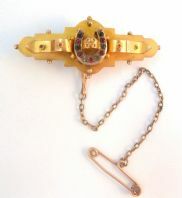 Antique 9ct Gold Horseshoe Hair Panel Bar Brooch. Antique, 9ct gold, ornate horseshoe bar brooch set with green white and reddy purple paste stones.